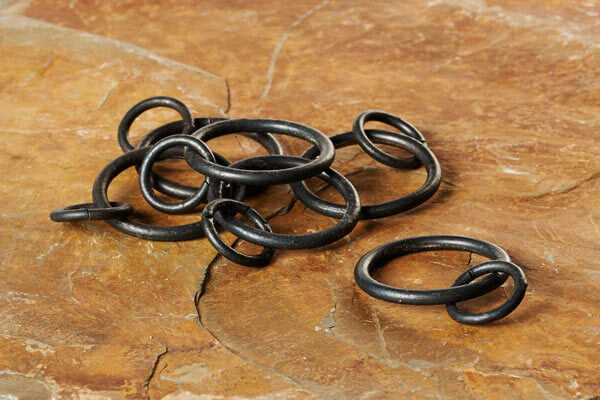 Our curtain rings are made from 4mm round bar with a smaller circle added in for you to hang your curtain from. 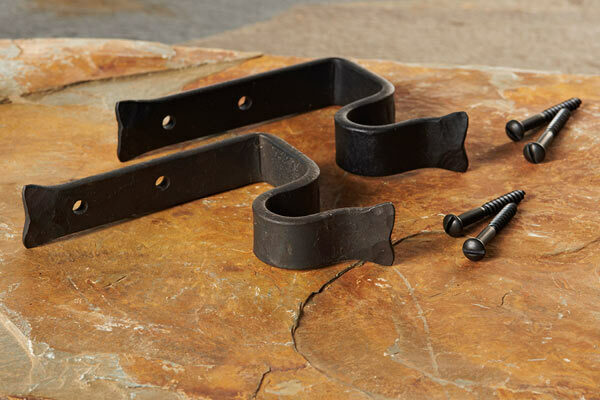 They are the perfect size to complement your new iron curtain pole and are incredibly strong. They will hold up the heaviest of curtains with ease! 4mm thick, 41mm outside diameter, 33mm internal diameter. We advise that you have 10 rings per metre of curtain pole. 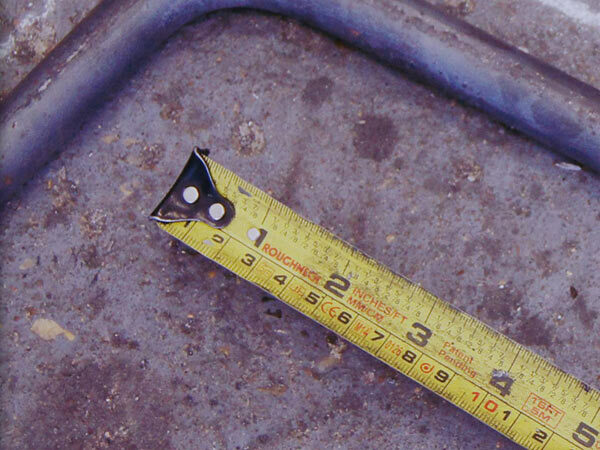 Buy extra standard brackets if you need to hang an extremely long curtain pole. Our standard curtain pole brackets are very strong and will really stand out with the shepherd’s crook design. These are suitable in an area where space is limited or your pole length is over 2 metres in length. 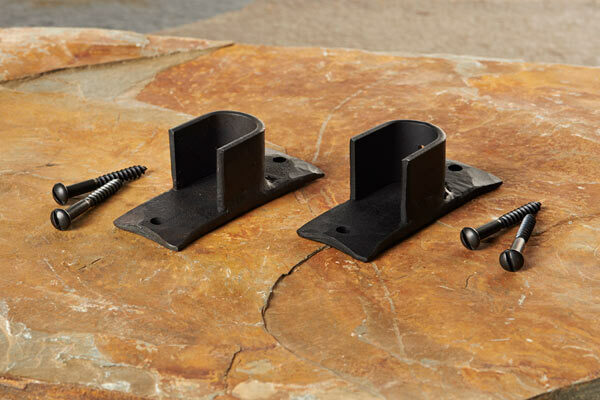 They are suitable to be used as a centre bracket above your window and also as the standard bracket in tight spaces. 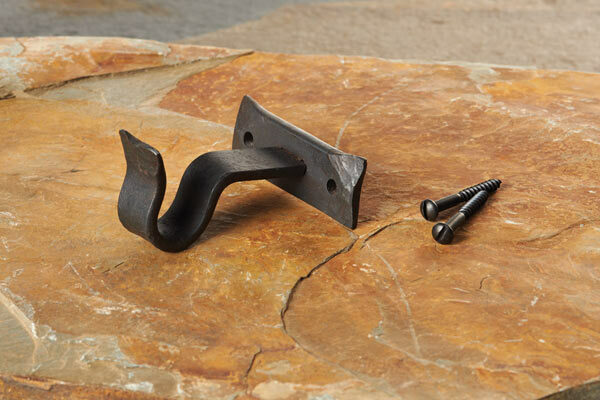 Each curtain pole bracket is beautifully forged with a shepherd’s crook design. We believe in products that will last a lifetime and we make all of our products to do so. 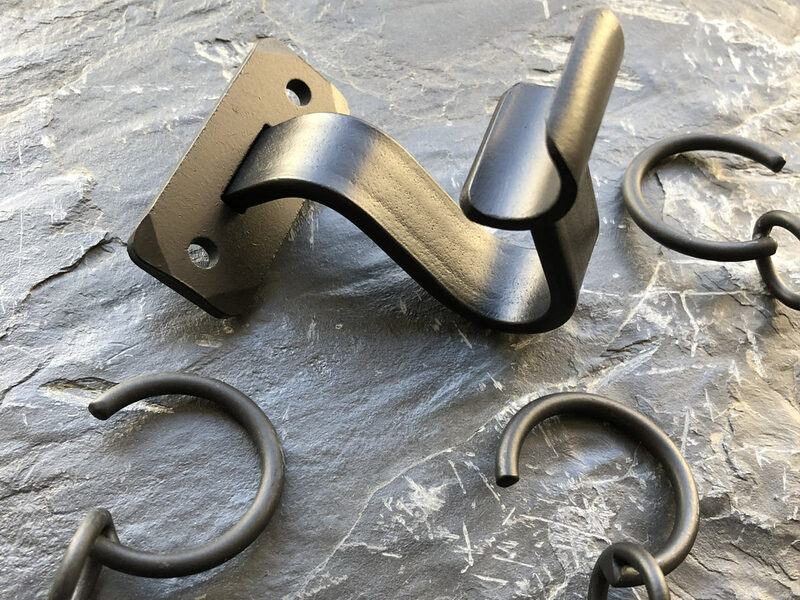 All our accessories are designed to complement our Thumper and Cannonball Curtain poles. 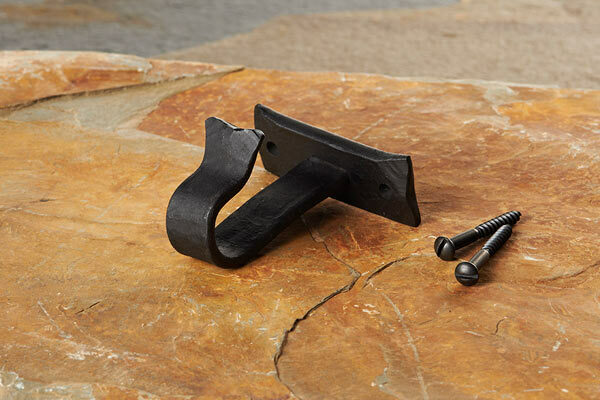 Our special ceiling brackets are designed to be used where you do not have room for a conventional wall bracket. They are great for tight spaces, difficult recesses or floor to ceiling windows. Please measure from the ceiling to where you wish the top of the curtain pole to be and select this from the drop down box. 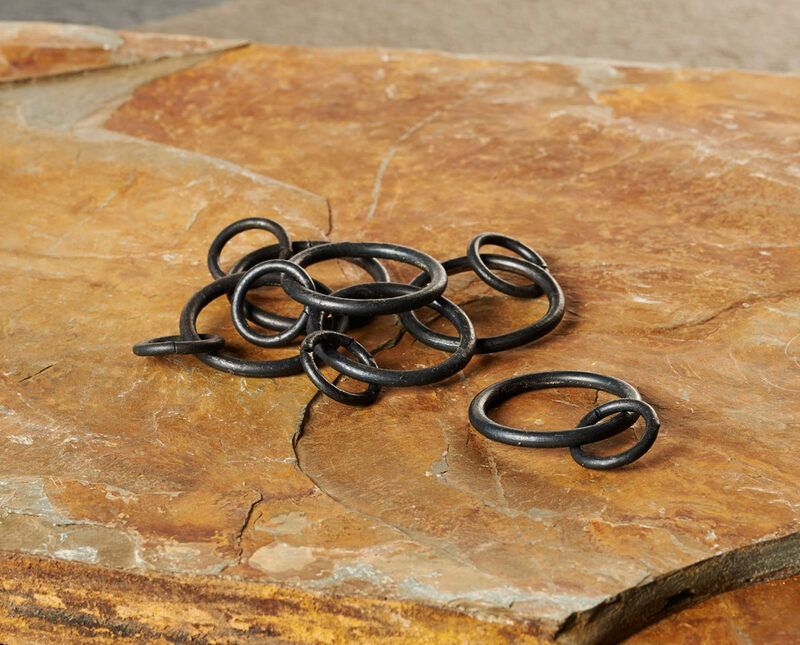 Available in Natural Beeswax or Matt Black. 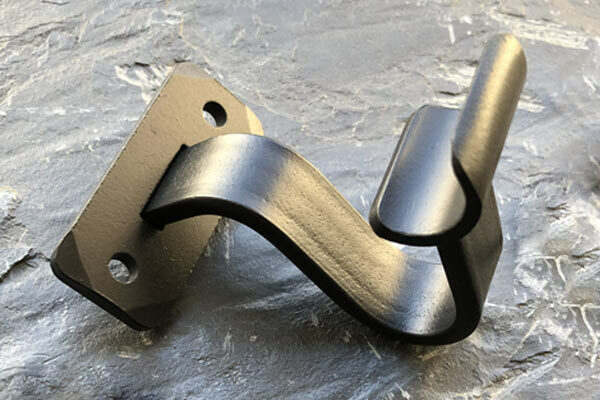 Our recess brackets are designed to accommodate standard 20mm curtain poles for mounting in a window recess. Finished in matt black paint or natural beeswax. The passing ring has a gap in it to allow that section of the curtain to pass through the brackets. Finished in matt black or natural beeswax. 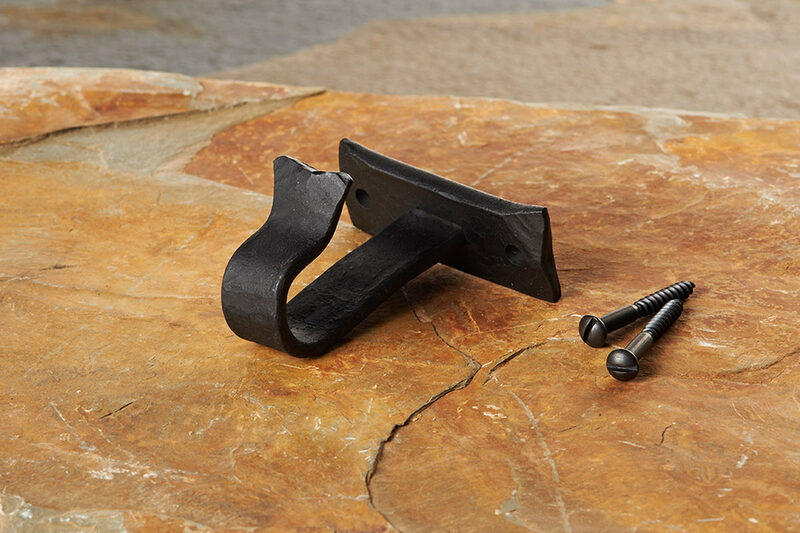 The passing bracket is designed to work in conjuction with the passing rings which have a gap to allow them to pass through the brackets. Finished in matt black or natural beeswax.